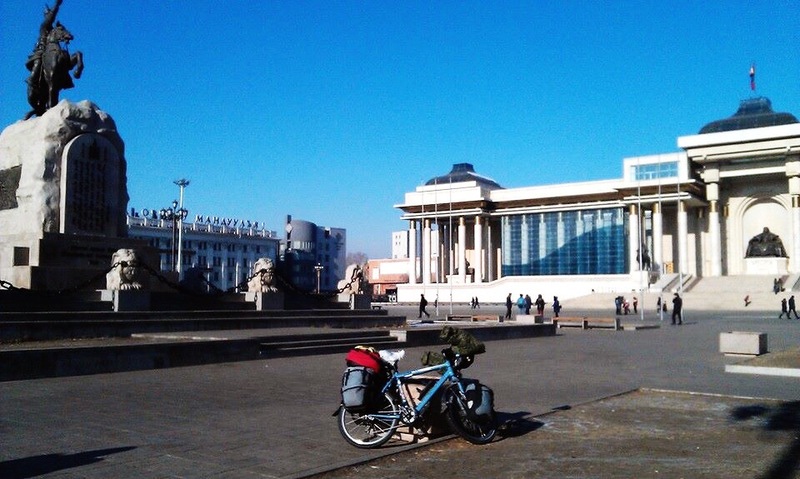 You can find the photos here: Hohhot and Erlian to Ulaanbaatar. It was hard to explain what I was looking for to the people at the train station. 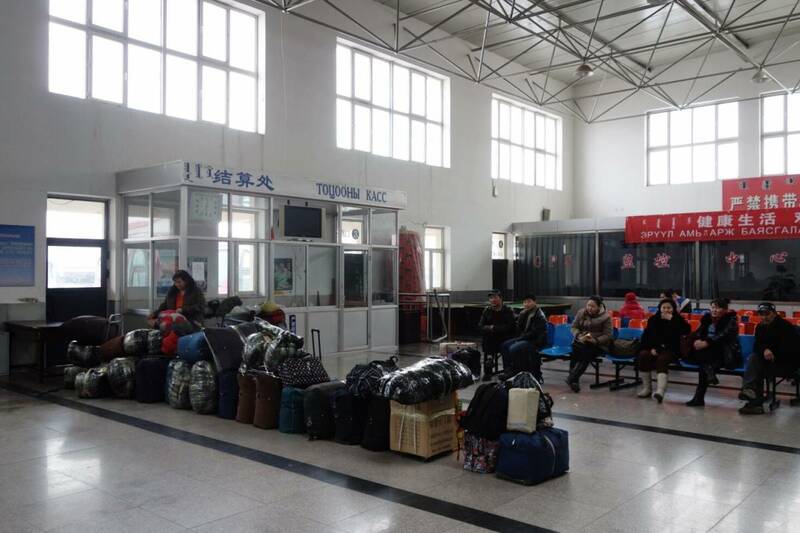 There were signs with left luggage, but in Urumqi they had used the sign baggage claim. So I wasn’t sure. Eventually the porter and I walked all along the road to another road going down underneath the train station. And there the baggage claim department was 🙂 After some miscommunication and interesting looks from local Chinese Isaba came rolling out. I was so happy 🙂 The kickstand had already been dodgy and was now hanging loose and when I started cycling I noticed the gears were not completely in order. Luckily I could set it in one gear and the rest of the route was flat into the city of Hohhot. I knew it was going to be a ten kilometer cycle but with the sun going down I got a bit stressed. In the neighborhood of my hostel it was a little bit hard to locate it, but once I found the right street I could see the blue sign that the Lonely Planet was talking about. I stayed at Anda Hostel and it was a nice place, although very out of season, so very quiet. Hohhot to me was a nice and easygoing city. I met some nice people, three English of which two were teaching English in China, three Germans that were also teaching English and a Dutch couple on holiday who were on their way to an alternative skating event on the Yellow river. The first days in Hohhot I was contemplating what to do if I was going south or heading north. Eventually I made the decision to cancel my train tickets going south and instead prepare for Mongolia. Because I had already picked up the first of my train tickets I needed to go to the station to cancel it. This time I could just go to the central station. They have a separate booth for cancellations and luckily the girl from the hostel spoke English and had written it down, so I could ask when I was in the station. There was a 20% cancellation fee. I could cancel my other tickets through the booking agency, also with a 20% cancellation fee. After I had cancelled the tickets I felt relieved. No more decision making. It is now clear what I am going to do and once I am in Ulaanbaatar I can figure out what I feel like doing. Also I had some more days in Hohhot until my visa would run out so I could explore the city a little bit more. Although Hohhot consists of 88% Han Chinese, there is still a large mix on the streets of different cultures. There are many Mongol, Islamic and Buddhistic influences. 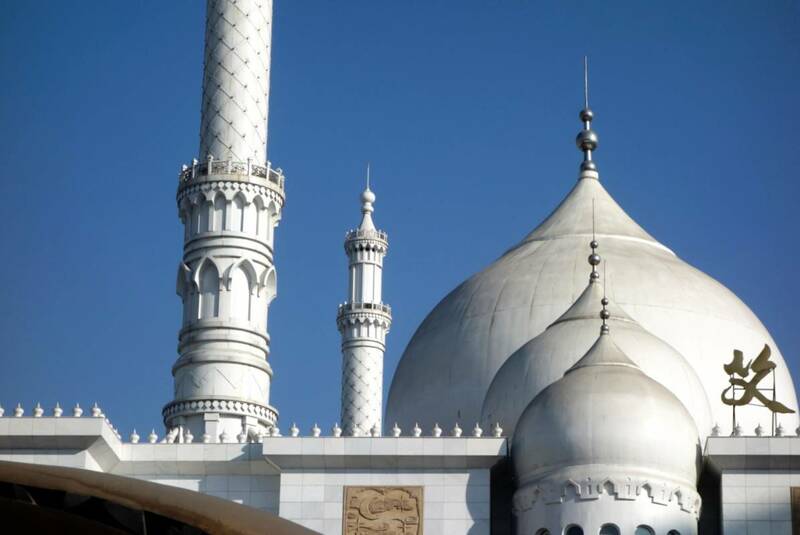 I went to see the large mosque and visited one of the Buddhistic temples. But mainly I just walked around in the streets to enjoy street life and the people living in the city. 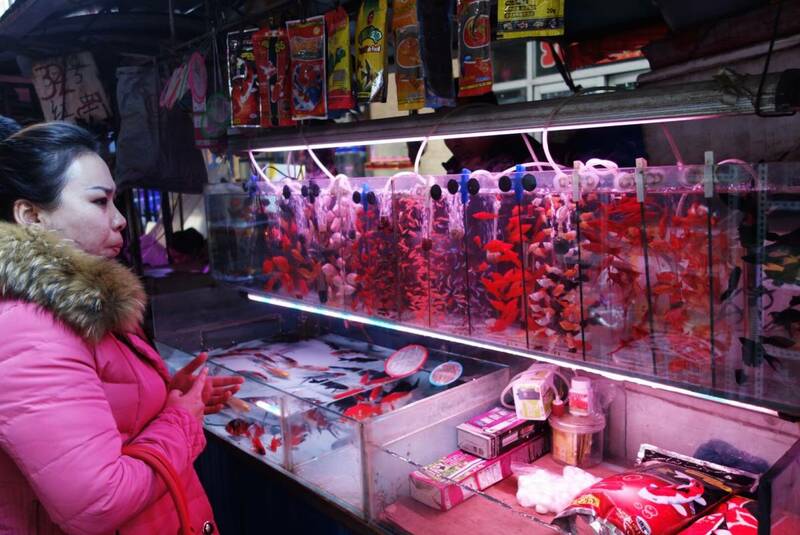 I searched for small markets and found a decorative fish market and also a market where they sold utensils for calligraphy. People were skating in the park where it was possible to get away from busy streets and enjoy being outside. All in all quite a nice stay. But then it was time for another logistical challenge 🙂 Time to head over to Mongolia! I had been in contact with Martin and knew that he was at the border of China ready to cross into Mongolia. I went to the bus station and bought my ticket to Erlian (or Erenhot or Ereen). It was 95CNY and the bus would leave at 7:55 the next morning. Arriving at the bus station the next morning I was curious how it would work out this time because I haven’t travelled on a bus with a bicycle before. I chose the bus because the train takes eleven hours and the bus seven. So better time spent! After maneuvering through multiple gates with my fully loaded bicycle I finally got pointed in the right direction. On the left of the bus station past the gate where the busses drive in and out there is a small office where I had to pay to take Isaba on the bus with me. It was 100CNY for Isaba and bags, even more than my bus ticket! One of the men pointed out which bus and helped me load Isaba and the bags and I could take my seat in the bus. It was a nice ride to Erlian. I slept most of the trip sometimes awaking to the changing view of grasslands to desert. I saw gers, farms and especially a lot of nothing. All of a sudden I saw dinosaurs and realized we were getting close. It was only 13:00 so it was going very smooth. 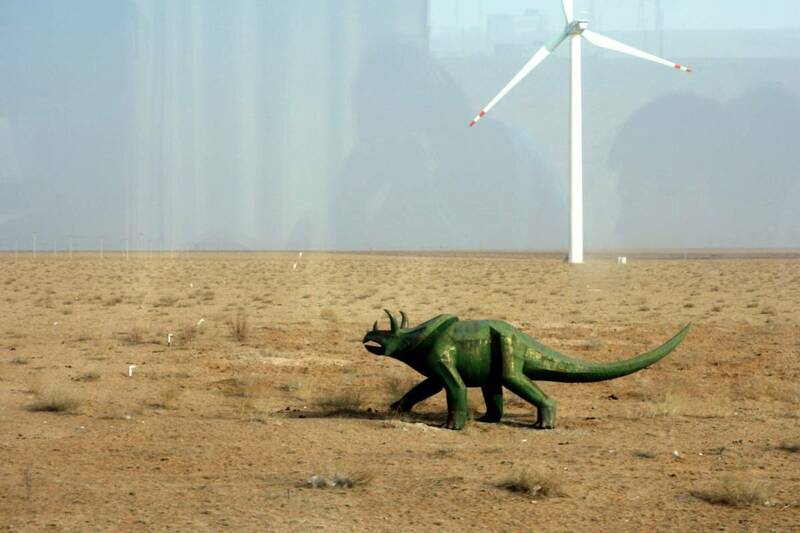 Erlian is known for its dinosaur findings and outside of the city they have statues of dinosaurs to welcome you into the city. Besides that it is also known for prostitution and human trafficking of Mongolian women into China. After arriving at the bus station I noticed that there was a hotel right next to the station. I asked and got a small discount for the room. Only had to pay 70CNY. There are many many hotels in Erlian. So if you feel like bargaining and walking around than it is advised to do this. I was okay with this price for the room. So the time finally came to cross the border with Mongolia. 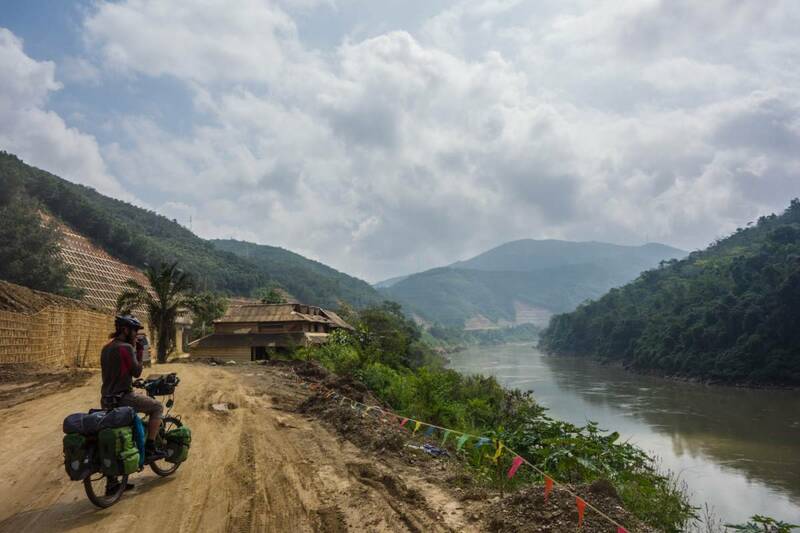 I had done my research and knew that I would probably not be allowed to cycle across the border. I knew there would be a bus in the afternoon and I knew that jeeps would go to the border but always would prioritize goods before people and with Isaba scrunched up in a car that was my least favorite option. Also you needed to wait before a jeep would fill up. I headed to the border, 4 km of cycling, in the early morning cold. I got there at around 8:30 and although the guards were very nice they were not planning to let me through. I almost couldn’t believe it. I have crossed so many borders by bicycle, why wouldn’t it be allowed to cross this one? I did the movement with my arms to show that I could cycle, but they wouldn’t have it: car or bus. They said wait here. So I waited and waited. It was minus 10 and cold. There was not a lot of traffic and every car or bus was completely full. No space for me and Isaba. The guards told me: “go to hotel”. I was determined and not planning to go back to hotel. They said more traffic in afternoon. But I felt that all cars would still be completely full. After about an hour and a half of waiting in the cold I decided to give up and cycle back to the city. Time for plan B. I had decided that plan B was going to be the bus. I went to the bus station, bought a ticket for 13:30 for 50 CNY. I went to a coffeeshop to bridge time and also went to the market to change money against okay exchange rates. I went back to the bus station, was quite early and waited. I had seen that there was quite a bit of luggage and thought it would be okay. I had asked before about my bicycle but they couldn’t give me a lot of answers. The waiting took quite long and finally boarding started. People were pushing their luggage and I was at the front of the line but they didn’t let me through. They kept saying no to my bicycle. Finally when almost everybody had pushed by they let me through. The whole bus was filled with bags and of course there was no space for my bicycle anymore. I was in stress, what to do now. Waiting for a later bus is not possible because then I would probably not be able to obtain a ticket for the train in Zamyn Uud. In panic I started to pull off my bags and they were all around me. People tried to help but the bus was just too full. So annoying. There were a few people who spoke English. They explained to me that it was also difficult for them because they spoke Mongolian and the driver Chinese. Apparently almost everybody crossing was Mongolian. They said that there would be another bus. I said that would be too late but people said it would leave soon. I was confused. It was a very sad sight to see all my bags and my bicycle in the bus parking lot while the bus drove away. Very dramatic… As I was watching my stuff outside from inside the bus station I got a knock on my shoulder and somebody pointed at a bus. This bus? To Mongolia? It was only ten minutes later and I was loading my stuff onto another bus. And there were only seven other people… The bus driver at first didn’t like me taking my bicycle but he had no choice. I was already loading Isaba on and two nice Mongolian young men were helping me with my bags. The Mongolian men spoke a little bit of English and helped me through the borders. They were very helpful and nice! Isaba and my bags had to be offloaded on the Chinese side, up some stairs, all bags through a scanner and I was waiting in line for the customs officer with my bicycle loaded with bags in my hand (that was a first!). Then back on the bus again to the Mongolian side of customs. Here Isaba and the bags could stay on the bus. I was stamped in, yay, and then we waited for twenty minutes for our bus driver to get through customs and we could proceed to the small city of Zamyn Uud. 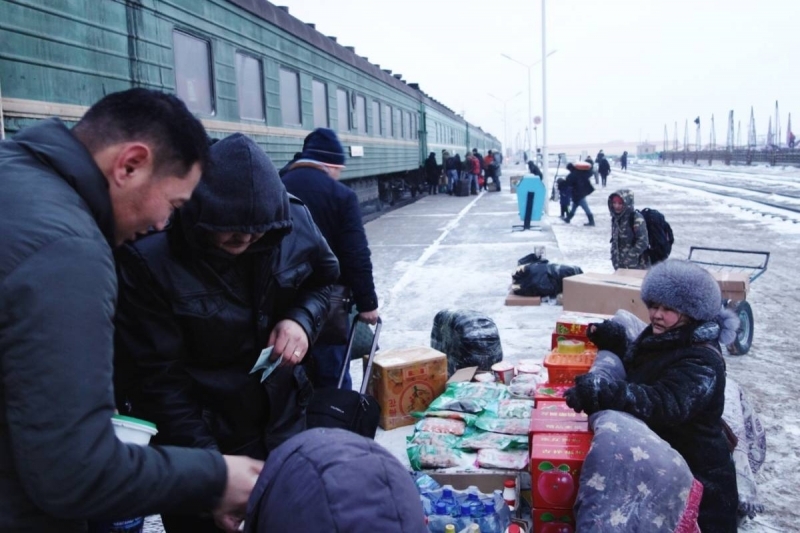 In Zamyn Uud I was very aware of pickpockets so with help of the young men Isaba was loaded fast and they said they would watch my bike while I bought a train ticket. The train tickets are sold in the black glass building to the left of the old train station. I bought a hard sleeper ticket for around 25000 MNT. A soft sleeper would have been around 34000 MNT. I asked around for baggage and they only said outside the building. I picked up Isaba and said goodbye to the friendly men. Luckily I started walking in the right direction next to the train with 25! carriages. I was asking along the way and people pointed in the direction I was going. I came to a building which said ‘bagage’ and they welcomed me. Isaba was weighed with bags and all culminating to 49.9 kg. I paid 13000 MNT and she was loaded in the cargo carriage with bags and all! 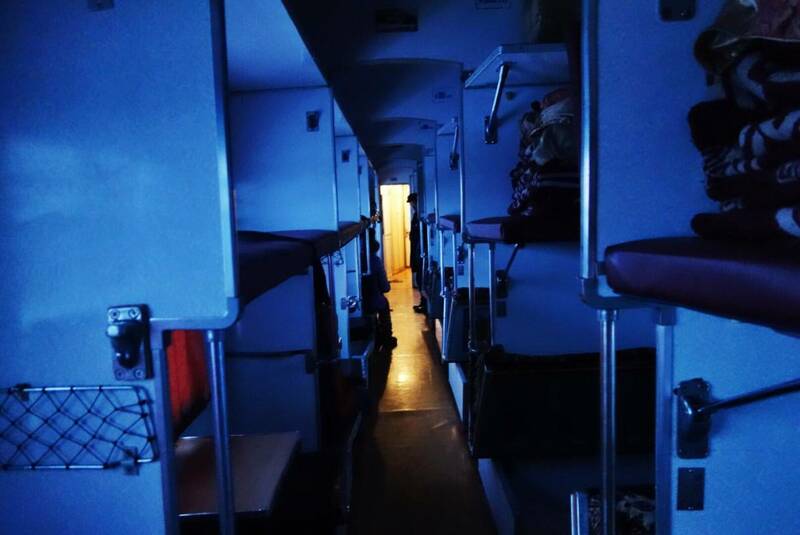 I boarded the train, found my seat, eventually folded it out to a bed, dropped through it in the evening, scrambled up and slept okay. The train was quite restless but okay. By eight in the morning we were riding through the outskirts of Ulaanbaatar and many gers were visible. I got off the train, went to the bathroom in the main building which was not so bad and went in search of my bicycle. The bagage building is outside to the right of the station in parallel with the train tracks. It would take three hours before everything was unloaded. And oh yes, I needed to pay 1000 MNT for some reason in the first floor of the ticket building. So you can imagine, walking up and down a lot. Eventually Isaba and I were reunited and I could cycle into the cold city of Ulaanbaatar. I had made it from Urumqi to Ulaanbaatar! And I could turn my logistics mode off… Now it is time to discover Ulaanbaatar and see what Mongolia has in store for me…. Hi Suzanne and Martin, You guys sound like you are having a great time. 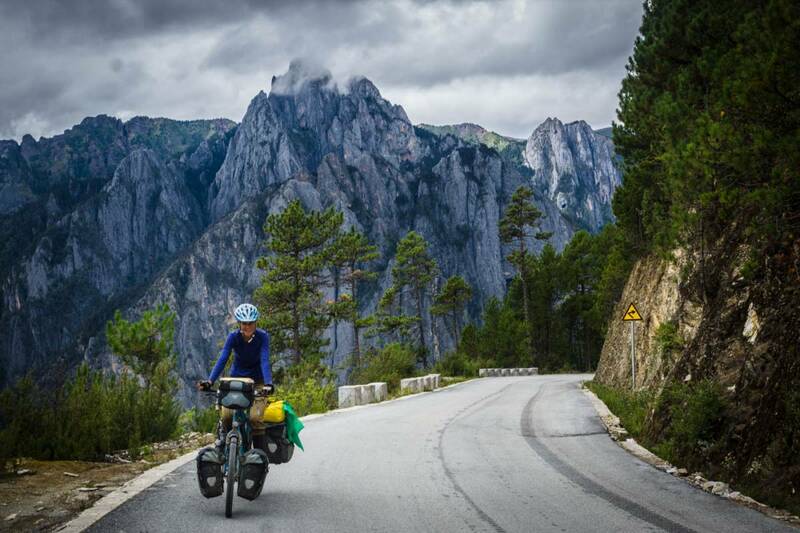 Jenny and I are departing on our trip next June and you are very inspiring. Can you tell me where you got your 90 day visa for China from and how easy was it to get? Thanks and safe cycling. Well done Suus, (understatement) what a story! Hi, if you are still in UB, we have a friend who lives there. 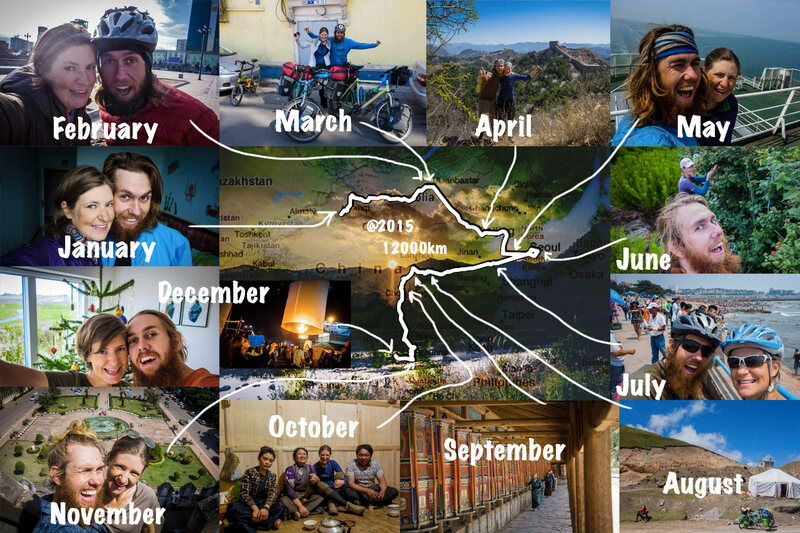 We have done some cycling trips with him in the Middle East. Sebastian works at the UB Goethe Institute. He might be able to assist in any logistics. I’m enjoying your blog. What a great adventure.